Also, you need to be careful when looking for influencers so you don’t end up with fake influencers who will eat away your budgets. An influencer who has a large number of engaged followers who like, comment, and share their posts has a high engagement rate. A high engagement rate implies that the followers are interested in their content and are enjoying it. However, if the number of engaged followers compared to the total number of followers is too low, it raises a red flag. This indicates that their followers aren’t very engaged or that their followers haven’t been gained organically. 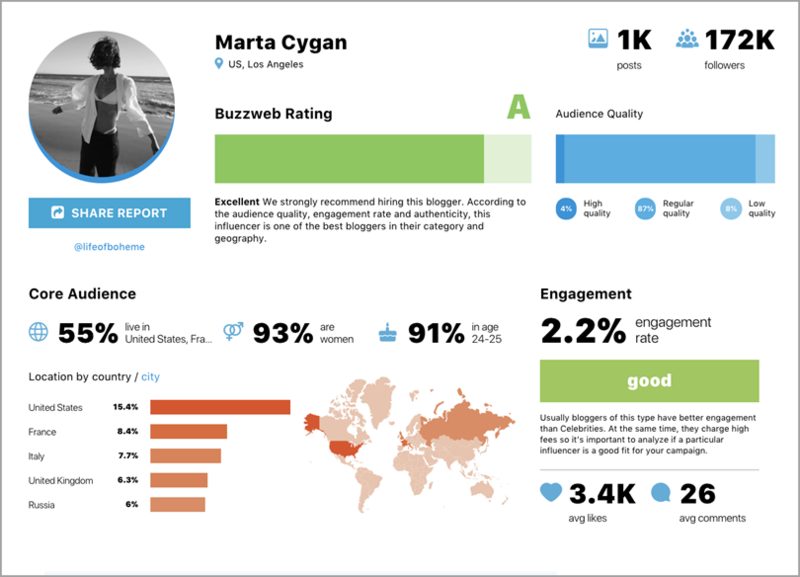 So you need to evaluate the engagement rate of your potential influencers. To gain the trust of their followers, influencers need to be authentic. Their content needs to reflect their genuine passions towards their niches. Their sponsored content shouldn’t look salesy or as if they’re promoting a brand just because they have been paid to do so. An influencer’s authenticity is what makes their audience trust them and their recommendations. Make sure that your influencer’s content looks authentic and that their followers receive it well. In fact, 75% of marketers look for authenticity when they choose influencers for their campaigns. A successful influencer is one who is able to inspire and motivate their followers with their unique content. Your potential influencer needs to be able to do so. Go through their social accounts to get an idea of the quality of work they can deliver. In order to create a lasting impact in the minds of their followers, an influencer must produce quality content. Also, make sure that they have a decent-sized following on their social accounts. It doesn’t matter how many followers or how high an engagement rate an influencer has – if they’re not from your niche, they can’t help you reach your goals. An influencer can’t afford to be a jack-of-all-trades. They need to be a master of one or a maximum of two related niches. So to get the desired results from your campaigns, you need to collaborate with influencers from your own niche. Content that leaves an impression in the minds of an audience is the mark of a successful influencer. Other than the quality of content, this also depends on their frequency of posting content. An influencer who is very active on social media is likely to be a better partner for your brand. Also, you need to find an influencer who invests time into engaging with their followers. Check if they reply or react to comments and post interactive content (polls, quizzes, or contests). To think that a high number of followers will result in high engagement is a huge misconception. You need to be really careful when identifying influencers or you might end up collaborating with an ineffective one. But, how will you identify real influence? In the process of influencer marketing, finding a suitable and relevant influencer is one of the major obstacles. And it gets really tricky when it comes to identifying if the influencer is really influential or not. As discussed before, you need to calculate their engagement rate, authenticity, quality of their followers etc to find out if they are really influential. Now to measure and assess all these parameters manually is next to impossible and not feasible. Thankfully you have tools like Buzzweb to identify if your potential influencer is influential enough. This platform will help you analyze the Instagram profile of an influencer to evaluate their authenticity. This analysis will give you detailed insights into their overall Instagram rating from A+ to F, engagement rate, audience quality, and demographics of their core audience. You can also evaluate the price of the post of any blogger using Buzzweb. When evaluating influencers, the number of followers shouldn’t matter as much as the engagement rate. Consider the most recent 20-30 posts from your potential influencer and calculate the engagement rate. In fact, influencers with a very high number of followers tend to have lower engagement rates. So you need to carefully calculate the engagement rate of your potential influencers to find out if they are really influential or not. You can also use Google to search for your potential influencer to find out if your potential influencer is really influential. The search will provide you a fair idea about the authority of your potential influencer on social platforms. You should be able to see their mentions or any guest posts they might have written. Even if an influencer doesn’t have a huge social media following, their overall online presence is an indicator of the influencer’s authenticity. You should also scan their social media content to check out their past brand collaborations. Find out if they promote products that are useful and valuable to their followers or if they promote anything and everything. It takes months (even years) to gain a large number of followers organically. It can’t happen overnight. Except for popular celebrities, of course. So make sure to vet accounts with a large number of followers gained in a short time. If you only consider the number of followers as a criterion to select influencers, you may end up collaborating with fake influencers. You can use tools like Social Blade to determine the follower growth trend of your potential influencers. Be wary of any sharp spikes in follower growth as this indicates inorganic growth. When you evaluate the engagement rate, be wary of any sudden or sharp spikes. Occasionally, influencers from the same niche or industry might like, comment, and share each other’s posts. This naturally increases the engagement rate. However, it’s a potential red flag when an influencer who has a high number of followers and gets really high engagement too. For example, if an influencer has 90K+ followers and gets more than 20K likes and comments, it might be a cause for concern. Another effective way to evaluate real influences is to check the comments on your potential influencer’s posts. If you notice that the comments are repetitive and spammy, then they are likely to be bots. In the screenshot below, you’ll see that the comments are absolutely meaningless and spammy. 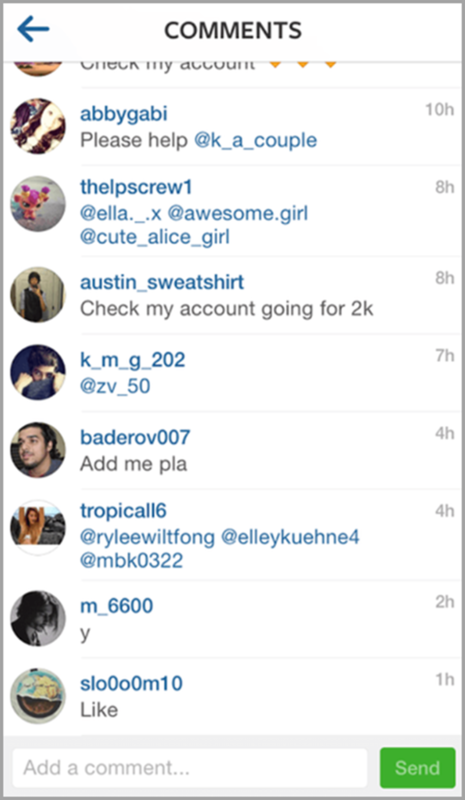 Sometimes, even genuine influencers may get a few spammy comments on their posts. However, when compared with a fake influencer’s account, the percentage will be much lower. Are you ready to identify real influencers? The choice of influencers can make or break your influencer marketing campaigns. So always consider your campaign goals and choose your influencers accordingly. Don’t fall into the trap of looking for influencers with a high number of followers. It doesn’t necessarily mean that the influencer is actually influential or that they can help you achieve your goals. Check their engagement rates, quality of engagement, quality of followers, and the other parameters discussed above before you collaborate with them. Do you know of any other effective ways to check if an influencer is really influential or not? Let us know in the comments below. 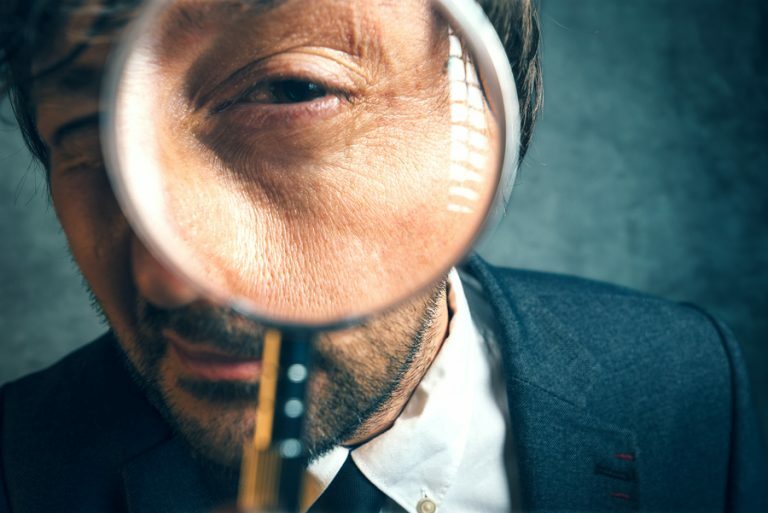 The post How To Check If An Influencer Is Actually Influential appeared first on Jeffbullas's Blog.